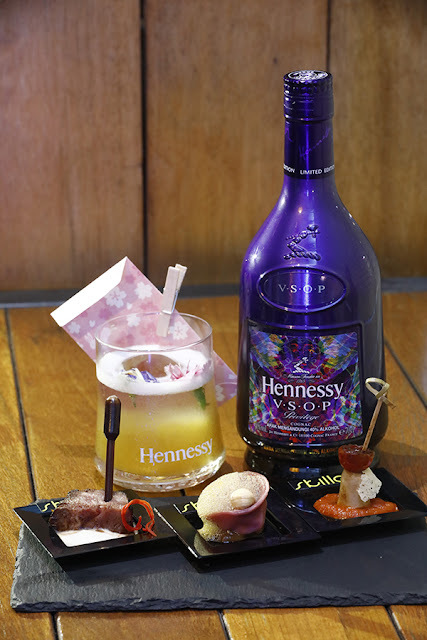 Last week on 29 March at Skillet @ 163, Hennessy Malaysia celebrate the launch of Hennessy V.S.O.P Privilège Collection 7 with a gastronomic experience, featuring a specially designed menu and bespoke cocktails by Skillet @ 163 and Hyde at 53M. 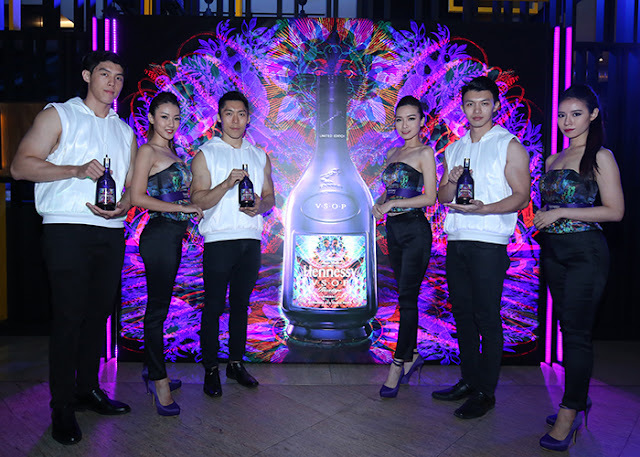 The night showcased the limited edition design by Milan-based artistic duo, Carnovsky, while emphasizing the cognac’s versatility via the complex interaction between mixology and food pairing. 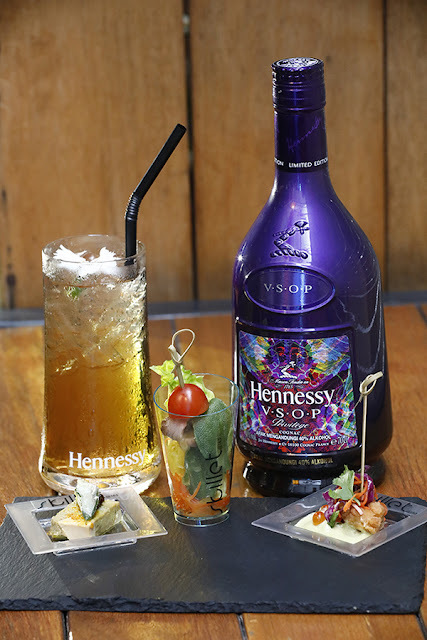 Hennessy V.S.O.P Privilège blends eaux-de-vie from the four best growing areas of the Cognac region to create a well-balanced blend of richness and smoothness. RED– ENERGY: Symbolizes the forces and efforts in creating V.S.O.P Privilège. GREEN – NATURE: Signifies the origins of V.S.O.P in nature and its fruits, conveying the finesse and elegance of V.S.O.P Privilège. 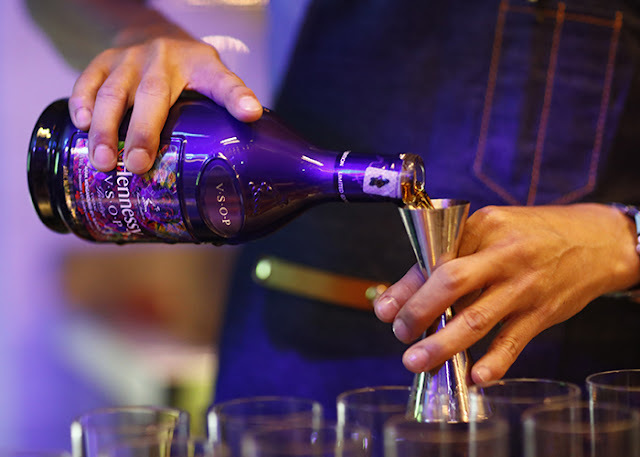 BLUE – DREAM: Represents the sensorial journey and experience of tasting V.S.O.P Privilège. 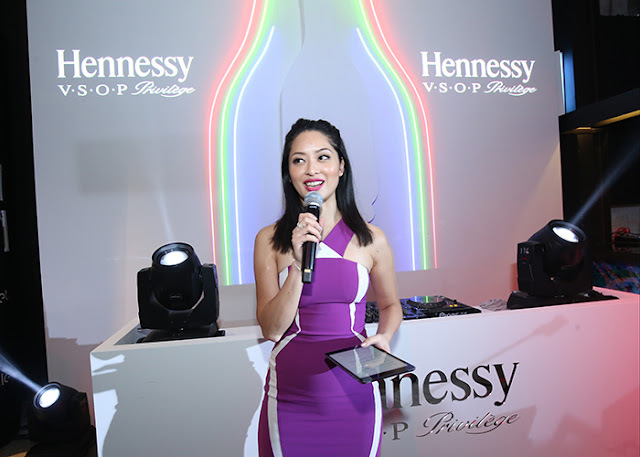 To convey the multiple facets of Hennessy V.S.O.P, the exclusive launch took guests through an exceptional culinary journey, with Chef Raymond of Skillet @ 163 curating three sets of canapés, each taking inspiration from a colour of the Hennessy V.S.O.P Privilège Collection 7 “RGB” design. “It was an interesting feat to curate a menu to match the meaning and colours of the “RGB” design while still ensuring a complete and well-balanced experience. 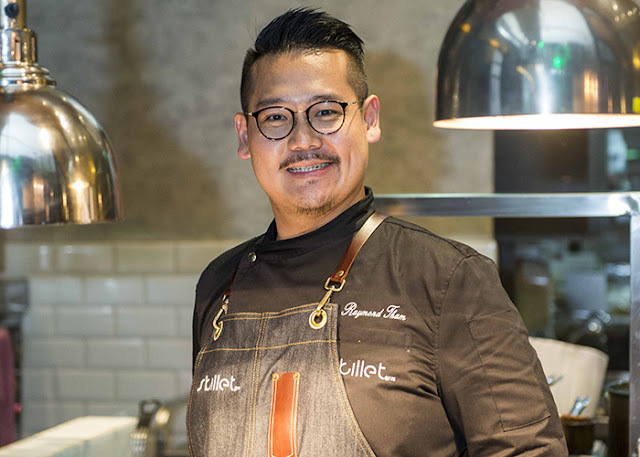 What we came up with was specific taste profiles for each colour that leads guests from light and refreshing (GREEN NATURE), to heavy and strong (RED ENERGY) and finally ending with unique and comforting flavours (BLUE DREAM)”, commented Executive Chef Raymond Tham of Skillet @ 163. 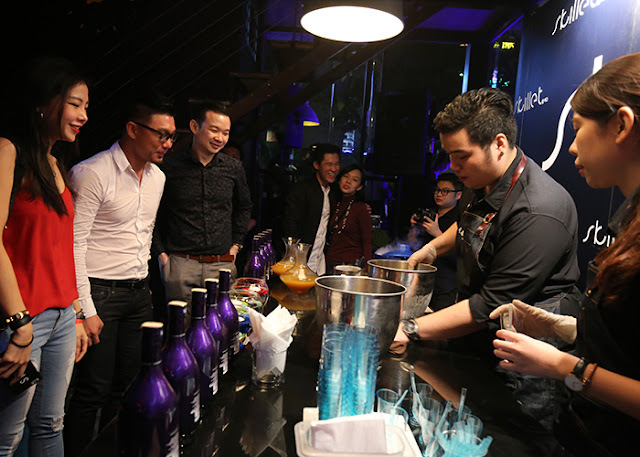 The degustation menu was harmoniously paired with cocktails by Andrew Tan, owner and mixologist of HYDE at 53M. 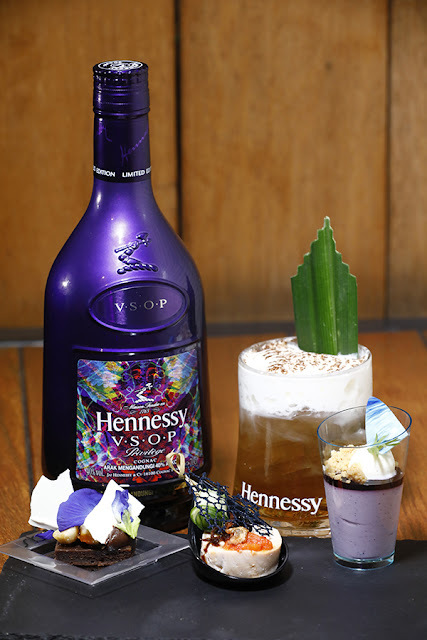 The creative and colourful spirit of Hennessy V.S.O.P Privilège Collection 7 allowed Andrew to conceptualize innovative and unconventional cocktails, matching the style and taste of the dishes perfectly. 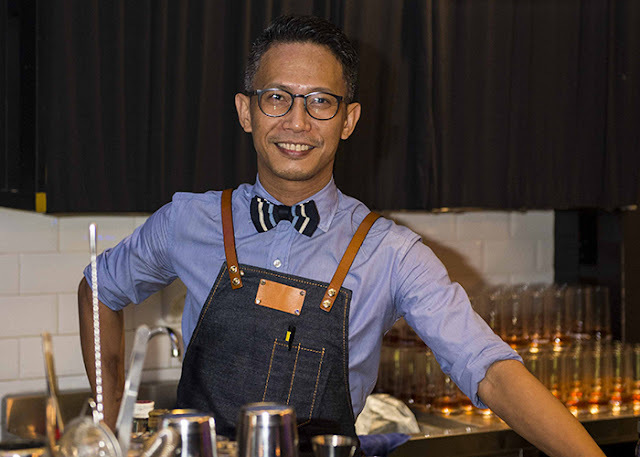 Andrew’s inventive cocktails were inspired by Chef Raymond’s distinctive style of merging humble, local flavours with international “luxury” ingredients, prompting him to use flavours such as Chrysamthemum, Japanese Yuzu and Pandan. 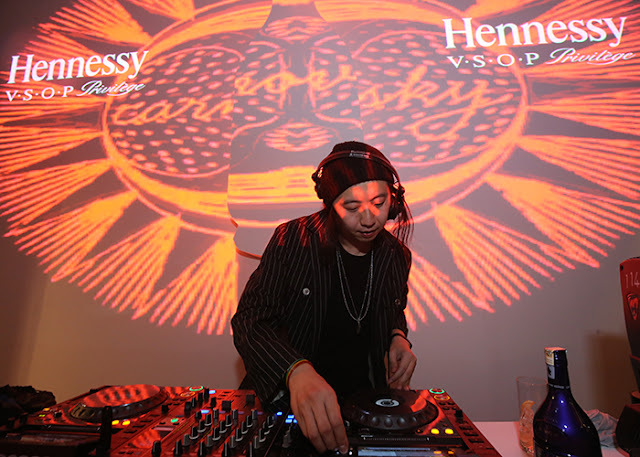 The party continued late into the evening as DJ Xu took over the decks, spinning his eclectic mix of electro-techno beats while guests partied and danced the night away. 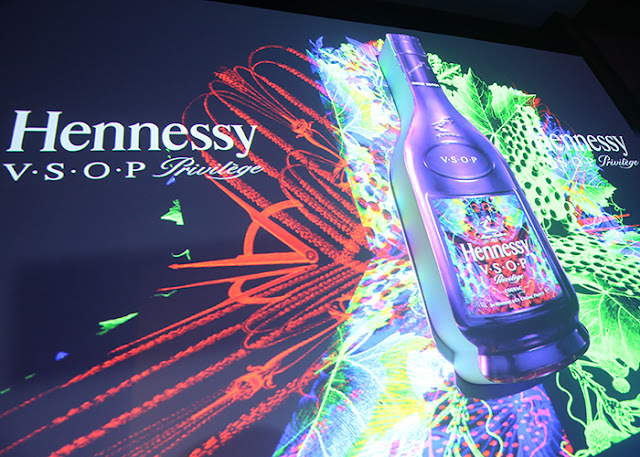 The launch of the new Hennessy V.S.O.P Privilège Collection 7 exemplifies Hennessy V.S.O.P’s spirit of innovation and creativity by showcasing limited edition bottles, specially designed by some of the most esteemed artists in the industry, and by continuously pushing the boundaries of design, gastronomy and the art of mixology. GIVEAWAY !! 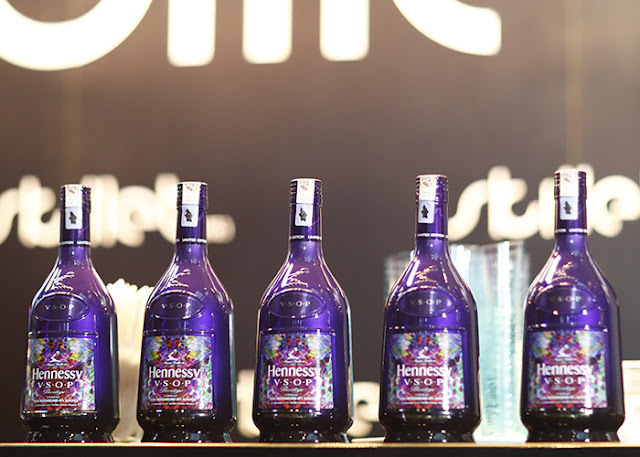 10 LIMITED EDITION BOTTLES UP FOR GRABS ! !